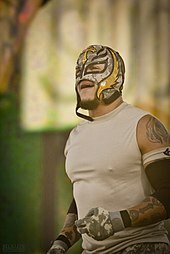 On October 16 as part of SmackDown 1000, Mysterio competed in his first singles match with the company since April 7, 2014. He defeated United States Champion Shinsuke Nakamura to qualify for the WWE World Cup. 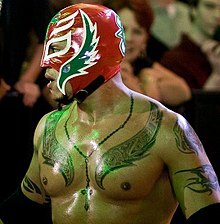 During the World Cup at Crown Jewel event, Mysterio defeated Randy Orton in the first round, but was attacked by Orton after the match. Later in the night, Mysterio lost to The Miz in the semi-finals. On the November 6 episode of SmackDown Live, Mysterio defeated Andrade "Cien" Almas to qualify for Team SmackDown in a 5-on-5 Survivor Series elimination match at Survivor Series. 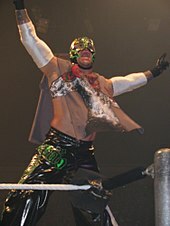 The following week, team co-captain The Miz suggested that Mysterio be removed from the team. His suggestion stemmed from Mysterio defeating him on SmackDown Live a few weeks prior. 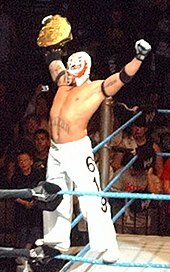 Mysterio faced The Miz that night, defeating him to remain on the team. At the event, Mysterio eliminated Finn Bálor before being eliminated by Braun Strowman, and Team SmackDown ultimately lost to Team Raw. Two nights later on SmackDown Live, Mysterio lost to Randy Orton. After the match, Orton attacked Mysterio with a chair, as well as ripped Mysterio's mask off of his face. The two fought the following week, with Orton getting the upper-hand. At TLC: Tables, Ladders & Chairs, Mysterio defeated Orton in a Chairs match. 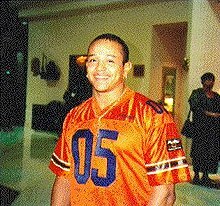 Mysterio entered the Royal Rumble match at #25 at the namesake event but was eliminated by Orton. Mysterio failed to win the United States Championship at Fastlane in a fatal-4-way where Samoa Joe retained in a match also involving R-Truth and Andrade. On the March 12 edition of SmackDown Live, Mysterio pinned Joe in a tag team match which led to Mysterio earning a United States Championship opportunity against Joe at WrestleMania 35 where he was defeated by Joe. 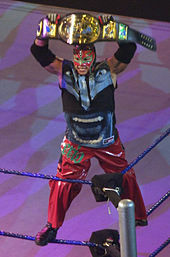 During the 2019 WWE Superstar Shake-up, Mysterio was drafted to Raw. On March 20, 2015, Mysterio partnered with Extreme Tiger in a match against the tag team of Aguayo and Manik. Mysterio scored the winning pin on Manik while all involved were unaware that Aguayo was dead (rather than just knocked out) following a regular drop-kick that Mysterio had performed on him during the match. Aguayo was rushed to a hospital and doctors attempted to revive him, officially pronouncing him dead at 1:00 AM on March 21. ^ "AAA Verano De Escandalo Results: Rey Mysterio Jr and Jeff Jarrett In Main Event, New Megacampeonato, Fenix Returns | Fightful Wrestling". www.fightful.com. Retrieved 2018-06-30.